I have a client who I have been working with on Race Day Nutrition over the past 4 weeks for their first Ironman Coeur D’Alene. It has all gone really well in training and they feel confident about the nutrition part of the race. But now the forecast calls for 95-103 degree temperatures! 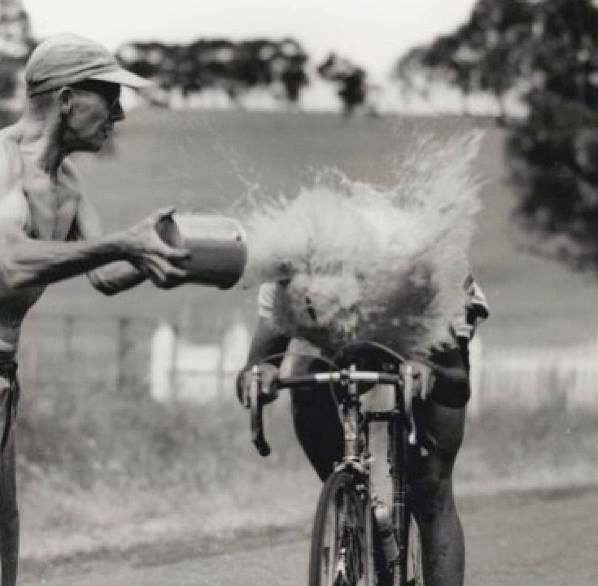 How to cool off becomes the biggest challenge of the race especially when it is a 10-17 hour event! It is widely known that ice is a great option. But will the race have ice on the course? It should, but I have been at races where they run out of water and out of ice. (Luckily not when I was going thru the aid stations). But this can be a problem whether you are acclimated to the temperatures or not. The challenge of how to cool off is always there. Here are some tips – some are mine. Some are from my trusty Facebook friends and others from my Philadelphia Tri Club group! Some I had no idea about but wow, what great ideas! 1) Ice – under your cap, down the back of your shorts (yes, there is a great cooling spot there – instantly drops your core temp! ), for women – in your bra top. I know I also sucked on ice and rubbed ice Cubes on my thighs while I would run. a) One suggestion was an ice vest. But this is only used prior to the event. So not sure how this would work for an 11-17 hour event like Ironman. b) How about an instant ice packs like you find in a drug store? This was genius! Then you could break it open and place it on the small of your back during the bike or the run, and keep another in your special needs or transition bags! c) I always suggest freezing water bottles that won’t be used in the first 2 hours of the event. Freeze any bottle that is going in the T2 transition bag, and both special needs bags on your bike and run. You may want to get a couple of Polar bottles as t hose will really thaw out slower. It might still be frozen when you get to it! d) Crushed ice in socks around your neck also help. e) Pour ice water on your head, put it under your cap or use a frozen cap? 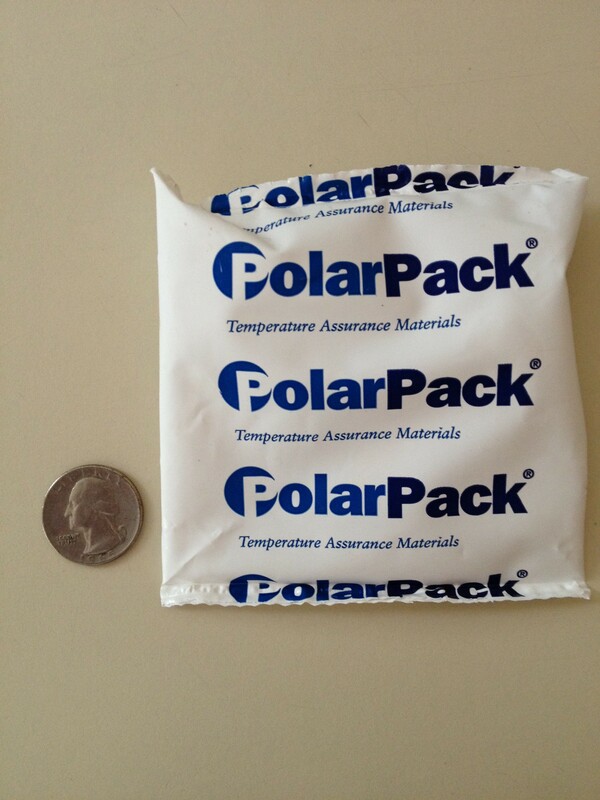 f) I have used the small 3×3 inch freezer packs – they are soft when not frozen. These last 4-6 hours so this may be a good option if you have a freezer handy the day before and morning of the race. They fit into a jersey pocket too! a) Drink fluids with a healthy balance of electrolytes, minerals and some sodium. c) You can preload the day before the race with additional electrolytes with breakfast, lunch and dinner. But do not do more than one day. And do NOT drink just water the day before the race in large amounts with the electrolytes. This can lead to dehydration rather than hydration if just using water. a) “Wear a base layer of super light skin tight merino wool and soak it in water.” from Joel. “Love my Craft merino wool base layers.” from David. b) Cooling sleeves that you continue to pour water on at each aid station. – Leslie’s add. c) “DeSoto Skin Cooler long sleeve tee. Similar to Leslie‘s cooling sleeves. There are two pockets in the back for ice….This is freakin’ awesome!” Thank you and good luck Gretchen as you will be doing this same race! One thing you can also do is train as much as you can in the middle of the day when it is hot and humid similar to race conditions. Obviously this also depends on if you live near the race, or if you are traveling. It can take up to 10 days to acclimate to hotter temperatures. b) Train for an hour in the middle of the day for 3-7 days to get used to the heat. Even just being outside would help! c) Try sleeping without the A/C on and with the windows open? I am not sure I could do this – I would need at least a fan blowing on me! d) Train inside where it is hot without the fan on? e) Wear extra layers to simulate hotter temperatures while training? I have heard some will add cotton long sleeved tees or sweatshirts to get them to sweat more and simulate overheating. But this can also be dangerous if you are not paying attention! This is not an all inclusive list. But it seems to be a good place to start looking if your race is predicted to be hot and steamy! How do you stay cool when it is so hot? If you have any tips, please let me know how to cool off! I will add it to the list!